ichele Beiny Harkins is a third generation antiques dealer. Her grandfather, Hanns Weinberg, founded the Antique Porcelain Company in London in 1946 and later opened galleries in New York (1957) and Zurich (1972). 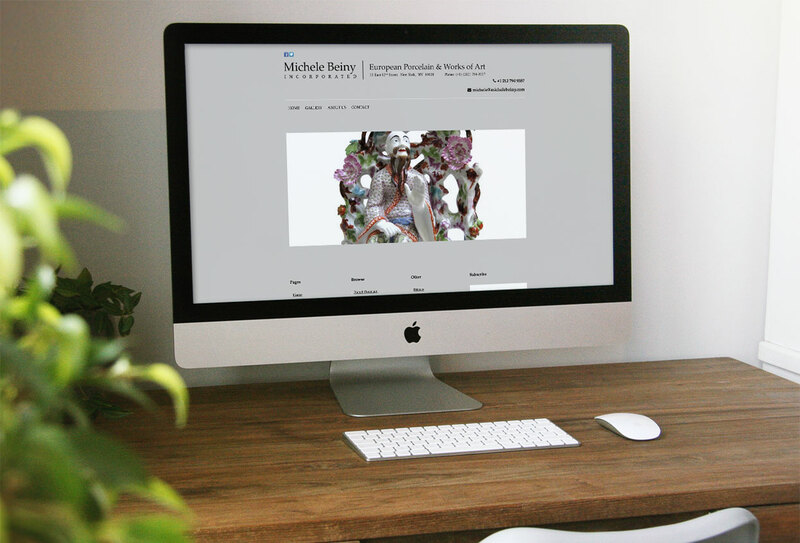 Michele Beiny Harkins started her own gallery in 1987 in New York specializing in 18th and early 19th century English and Continental porcelain and European faience, as well as French furniture and decorations, objets de vertu, and renaissance jewels. She has exhibited at many international antiques shows including TEFAF Maastricht in Holland, The Grosvenor House Art & Antiques Fair and The International Ceramics Fair and Seminar in London, The Winter Antiques Show in New York, the International Fairs in Basel and Munich, and the Paris Bienalle.